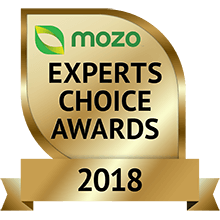 Congratulations to the winners of Mozo Experts Choice Awards for the best energy plans 2018. These awards recognise electricity and gas plans that provide Australians with exceptional value for money. Start your search here if you’re looking to lower your gas and power bill or switch over to a solar or green energy plan. For the 2018 awards, we compared 194 residential energy plans from 27 energy providers. The award winners named in the table below offer the best value plans in each state in the areas of electricity, solar friendly electricity, 100% GreenPower and gas according to Mozo’s analysis. You may have heard of amaysim's mobile phone and internet plans before, they now also offer energy at sharp prices. Be sure to pay on time to get the best price on this plan. No need to qualify for discounts on this plan, just get great prices. No exit fees and no fee for paying by credit card, Flexi Home offers the ability to add GreenPower and Solar if you wish. Similar to QEnergy's Flexi Home, this option offers great prices with no conditional discounts, and choosing the SmoothPay billing option can make it easier to budget. A feed-in tariff of 12.5 c/kWh combined with usage charges that are discounted if you pay on time. You can also opt-in to make your energy usage carbon neutral for the first 6 months. Offering competitive energy prices along with a generous feed-in tariff of 11.1 c/kWh, be sure to set up a direct debit so payments are never late in order to qualify for the discount. Powerdirect is backed by AGL. Add AGL's 100% Green Choice to their Essentials plan and you have the best combination of tariffs and Greenpower cost from a retailer that has publicly committed to move towards a decarbonised electricity industry. This plan offers optional bill smoothing and the choice of a 1 or 2 year term, or no contract period at all. No conditional discounts here, just low prices. GloBird offers a local call centre and no lock-in contracts along with a feed in tariff if you have a solar system on your home. This one's for people who know they always pay their bill on time so will get the conditional discount. GloBird offers a local call centre and no lock-in contracts along with a feed in tariff if you have a solar system on your home. Tango prides itself on offering low energy prices without the need for optional discounts. There's also a promise that your rates won't increase for 2 years! Like Tango's Home Select, their eSelect option doesn't need to offer flashy discounts to win, but does offer a sign-up bonus and no price increases for 2 years. Combining low electricity prices and a solar feed-in tariff of 10 c/kWh makes this GloBird plan a winner. No need to worry about meeting conditions for discounts either - there aren't any! GloBird's solar feed-in tariff of 10 c/kWh along with competitive energy prices for those paying their bill on time made this plan stand out. Benefit from low tariffs and a solar feed-in tariff of 11.3 c/kWh, along with Tango's philosophy of no confusing discounts and no price rises for 2 years. Tango's energy usage charges and a solar feed-in tariff of 11.3 c/kWh saw them nab another win. And you still get simple pricing with no confusing discounts and no increases for 2 years. Add AGL's 100% Green Choice to their Essentials plan and you have the best combination of tariffs and Greenpower cost from a retailer that has publicly committed to move towards a decarbonised electricity industry. Check for sign-up bonuses, such as the $50 first bill credit and 10,000 flybuys points currently available. Rates are fixed for two years and there's an exit fee of just $22, but be sure to pay on time to qualify for the discount. No need to worry about qualifying for discounts, just get great rates all the time. Momentum is owned by Hydro Tasmania, Australia's largest renewable energy generator. For people who are happy to set up a direct debit and are confident bills will be paid on time this plan is a great option. Powerdirect is backed by AGL. You may have heard of amaysim's mobile phone and internet plans before, they now also offer energy at sharp prices. There's a 20 c/kWh solar feed-in tariff, but you'll need to pay bills on time to qualify for their discounted usage rates. Powerdirect offers a solar feed-in tariff of 16.3 c/kWh and usage rates that are discounted for both paying by direct debit and paying your bill on time. Powerdirect is backed by AGL. Add AGL's 100% Green Choice to their Essentials plan and you have the best combination of tariffs and Greenpower cost from a retailer that has publicly committed to move towards a decarbonised electricity industry. Check for sign-up bonuses, such as the $25 first bill credit and 10,000 flybuys points currently available. Just set up a direct debit to qualify for the maximum discount on this plan, and no more keeping track of when your bill is due! There's also a shopping rewards program where you can get discounts on items such as gift cards and movie tickets. The Home SaverPlus charges no exit fee and offers a discount for paying bills on time. EnergyAustralia's secure saver offers a solar feed-in tariff of 16.1 c/kWh and usage rates that are discounted for paying bills on time. Rates are fixed for two years and there's an exit fee of just $22. No fancy discounts, just low rates that are fixed for 12 months and no exit fees. Sign up online to get a $25 credit. Set up a direct debit to pay your bills to get the best prices for this plan. There's no fixed term on the contract and no exit fee if you decide to leave. ActewAGL requires a direct debit for bill payments to access the best prices on this plan and you don't have to pay an exit fee if you decide to leave. Get 15 c/kWh for power fed into the grid, along with no conditions that have to be met in order to get the best rates. Great rates with competitively priced Greenpower options saw this plan rise to the top. Energy Locals promises that half its profits will be invested into new renewable energy projects. This plan rates well as long as you set up a direct debit for bill payments. And you can get it even cheaper if you have electricity with Origin to qualify for their dual fuel discount. The winning products are those that provide the cheapest energy at the time of judging, for a set of customer scenarios. Our scenarios covered each of the different distributor areas in each State (because prices differ) and for residential costs we considered several different levels of energy usage (because this affects the influence of daily supply charges versus variable usage charges). Did you compare all electricity and gas plans in the market for these awards? We won't have covered every single electricity and gas plan available but we have tried to cover a vast majority of well-known energy retail brands in our analysis. In this year’s awards we assessed plans from 30 different residential energy providers. Did you take into account any sign-up offers when determining the winners list? Why are some states and territories not included in the Mozo Experts Choice Awards? We only considered products that are available in deregulated energy markets. This includes NSW, Victoria, South Australia, the ACT and in the contestable market in SE Queensland covered by the Energex electricity distribution network. These awards recognise those products that provide the cheapest energy for customers with existing solar panels, after making an allowance for feed-in tariffs for selling excess energy to the grid and well as the cost of buying electricity from the grid. What was the judging criteria for the Green electricity award? If you’re after an environmentally friendly energy choice for your home and don’t have solar panels, the best way to make a real difference is to purchase an electricity plan with 100% GreenPower. GreenPower is a government accredited program that enables your electricity provider to purchase renewable energy on your household's behalf. When you buy GreenPower, the energy you are buying is helping to develop new infrastructure in the renewable energy sector. To find the best value plans and the award winners in this category, we calculated the overall cost of such plans including both the base tariff and the additional GreenPower tariff. In addition retailers are only eligible for our Green Electricity awards if they achieved certain ratings in the Green Electricity Guide 2018. Do electricity and gas providers pay to be included in the awards? I work for an energy retailer, how do we promote our win?